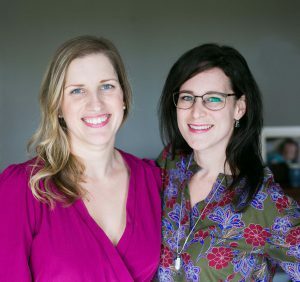 Your local wedding stationery gurus Ashley (left) and Keshia (right). 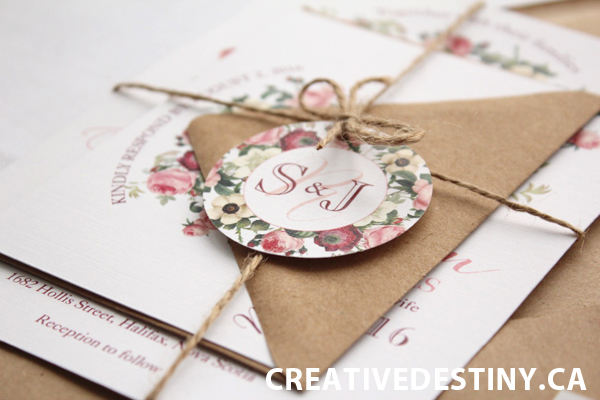 Here at the Creative Destiny studio, a new year means a busy new wedding season. 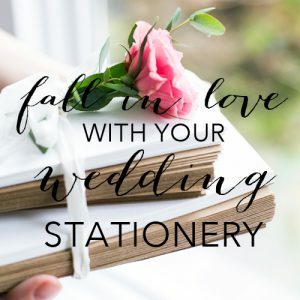 Starting out I always receive a ton of questions about what we do and how to get started on the stationery process. 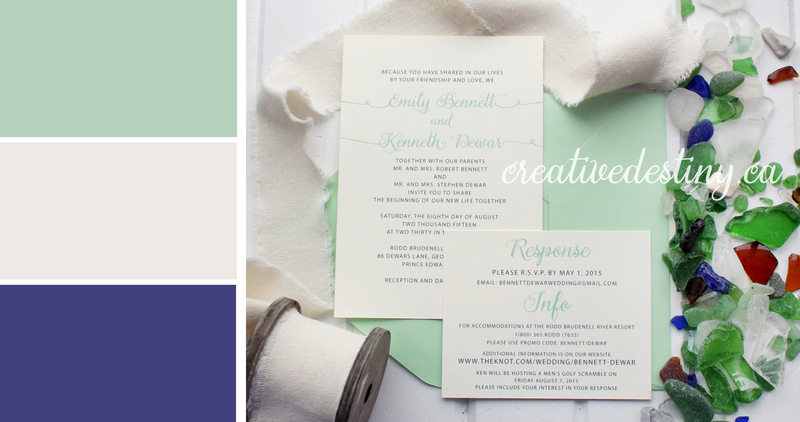 We are an Annapolis Valley-based graphic design boutique dedicated to working with Nova Scotia couples to create chic, elegant and memorable wedding invitations and stationery. 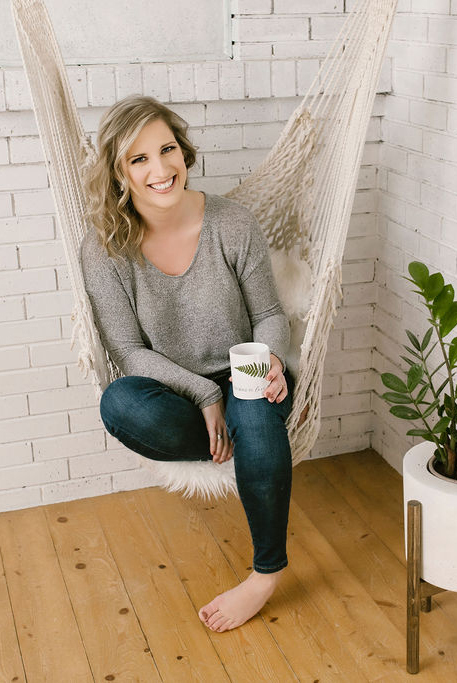 This is a very exciting time and we know very well how much work and pressure comes with the planning process. 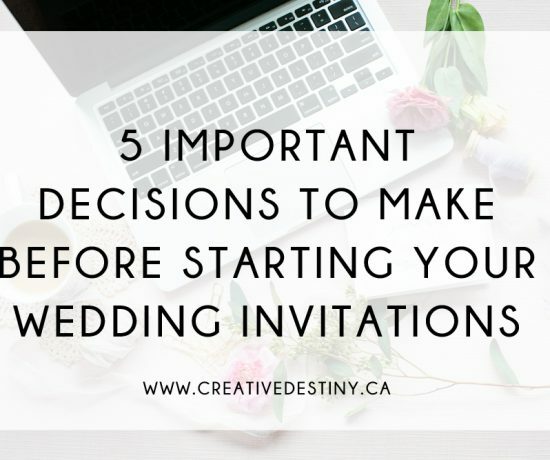 There are A LOT of invitation options out there these days and it can be stressful and overwhelming to decide the best company to purchase from and design options to choose. 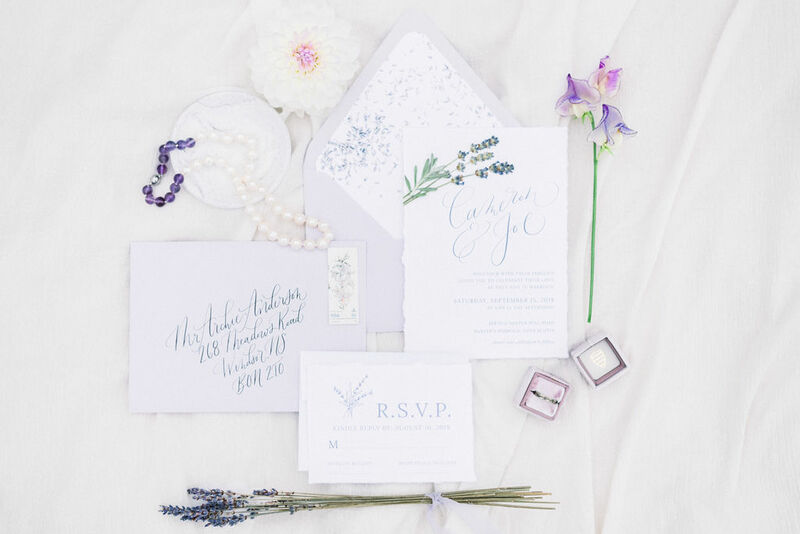 Whether you choose invites from our curated DIY line or decide you want to work together on something more personal, I want you to know that we are here to answer all your questions and make sure the invitation process is as stress-free as possible. 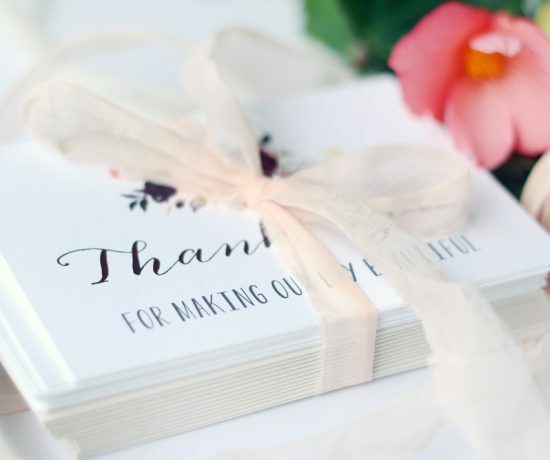 You can take pride knowing you ordered your invitations from a local company and worked with professionals to make sure everything is as perfect as the fine details on your dress. 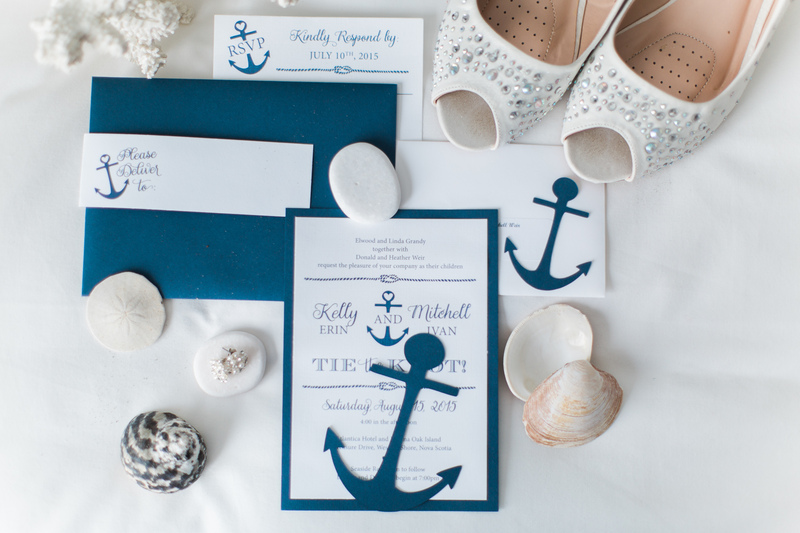 A lot of planning, detail and love will go into your custom invitations. 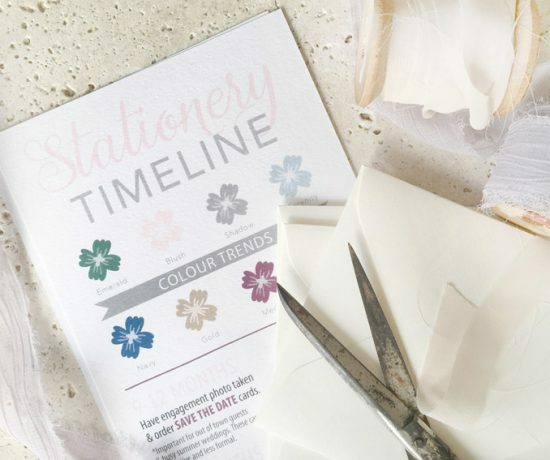 We will look closely at your personal hobbies, style, your wedding colour palette and the flowers you have chosen, to create the perfect stylized ‘brand’ for your wedding day. Please take a moment to browse through the website and the 2017 curated design options. 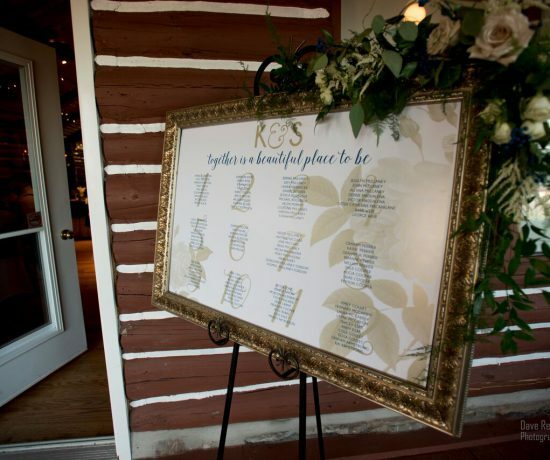 PS – Visit the about page to learn more about us and why we love weddings so much! 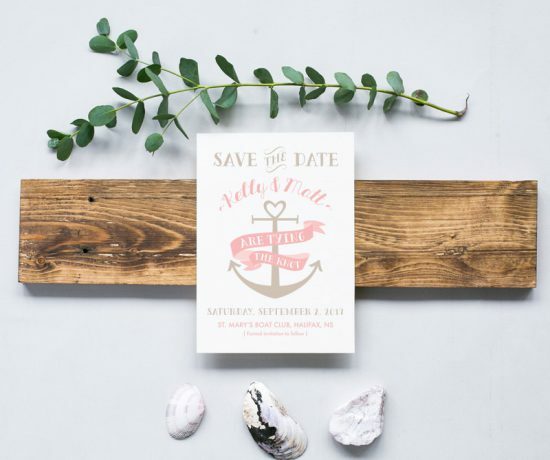 For your daily dose of Nova Scotia wedding inspiration please follow us at the links below.